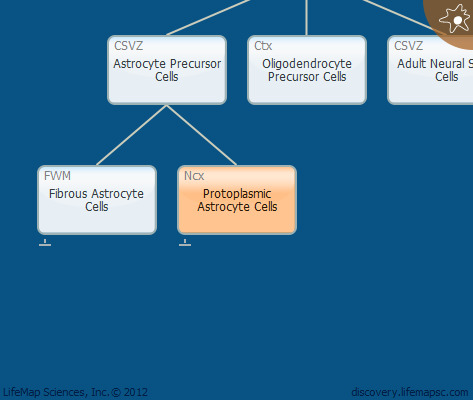 Protoplasmic astrocyte cells reside in the gray matter and express S100β. These cells have many branching processes which envelop synapses and whose endfeet cover blood vessels. These cells regulate extracellular ion concentrations and ensure proper neural synaptic functioning.